Do you like all things Tiki? Do you like bartenders? THIS IS THE THING FOR YOU! The Iron Tikitender is the quest to find the world’s best tiki bartender! Our hometown of Atlanta is quickly becoming a hotbed for Tiki. Probably due in part to having amazing options like Trader Vic’s, SOS Tiki and Tiki Tango in town, or possibly just our love for a flowered shirt. 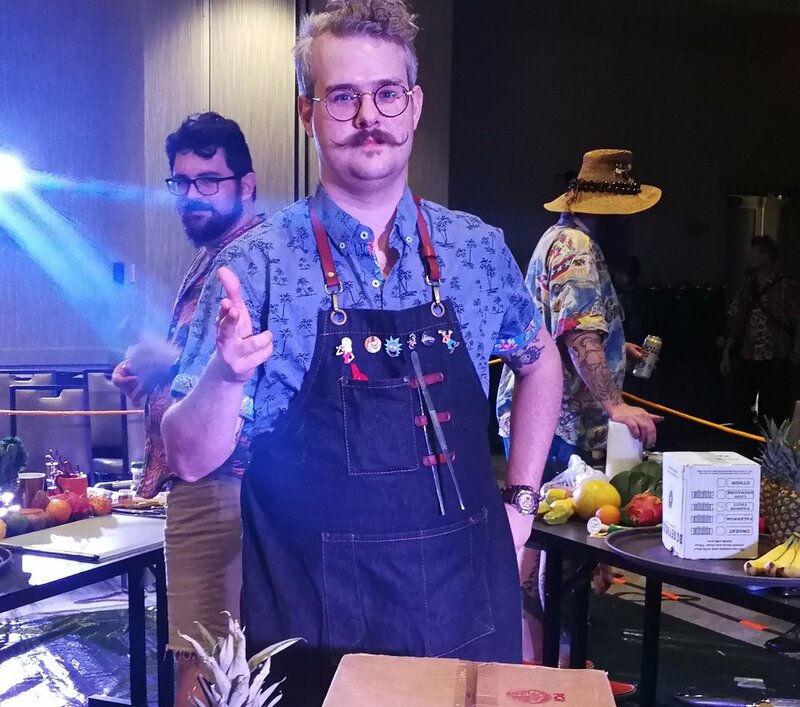 Either way, as part of the Inuhele Tiki Weekend in Atlanta, GA, Iron Tikitender SE was a bartending competition open only to Southeast Tiki bartenders. 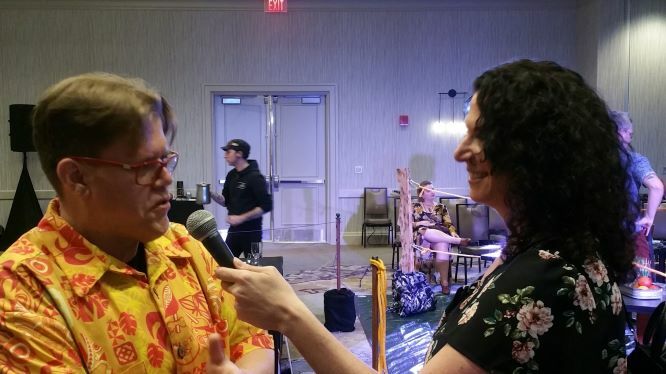 Jonathan Chaffin of Tiki Mug company Horror in Clay chatting with Kim. 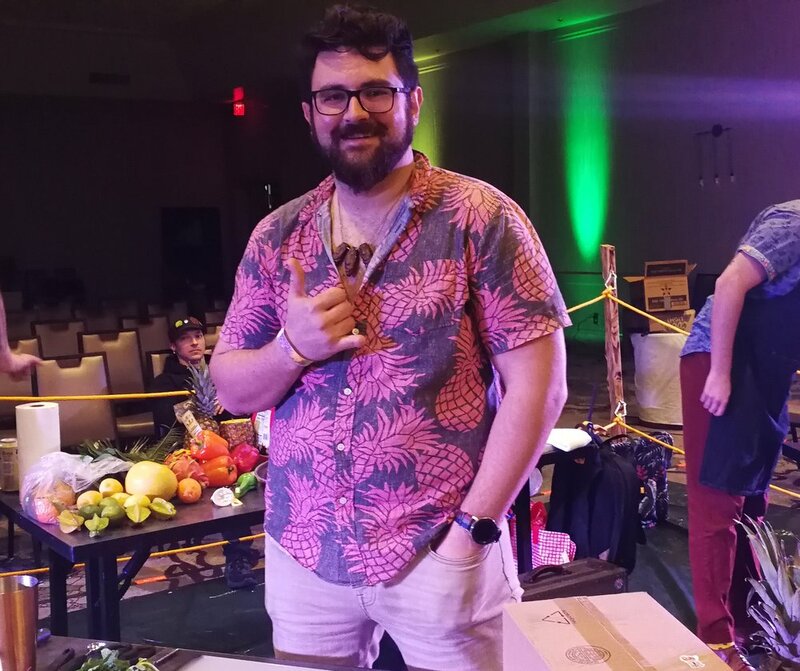 He and his wife Allison created Inuhele, which hosted the Iron TikiTender SE Competition. THE COMPETITORS: Mitchell, Ryan an Jim - Listen in to find out who won the Iron TikiTender SE Competition! Mitchell Magrian from Sarasota, FL. The horror - between 64 and 66 Mia Tias heading for the trash bin - listen in to find out why!